For Avenue Q favorite Rod, a fun evening at home includes reading about High Button Shoes and Pal Joey...needless to say, he was at the 2018 BroadwayCon. Watch everyone's favorite closeted, Broadway-loving Republican (played by Ben Durocher) live out his musical theatre fantasies at Broadwaycon as he quizzes other theatre fans Billy on the Street-style. It is absolute perfection! Get ready to LOL, gasp, and shake your head in hilarious disbelief. 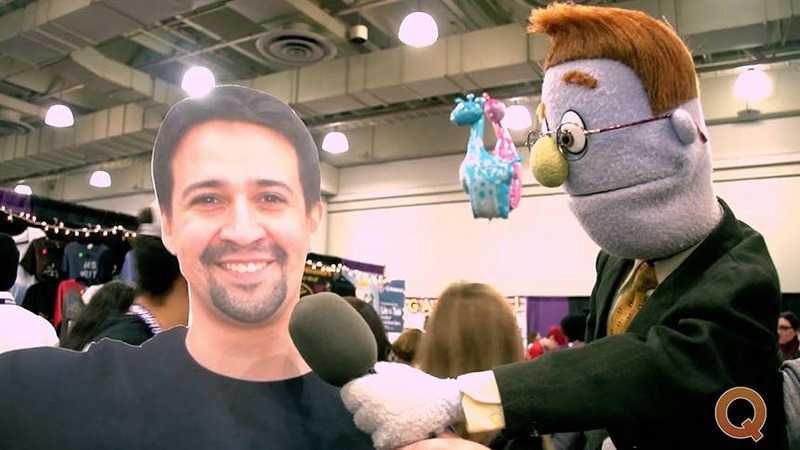 See Rod live in Avenue Q at off-Broadway' New World Stages.